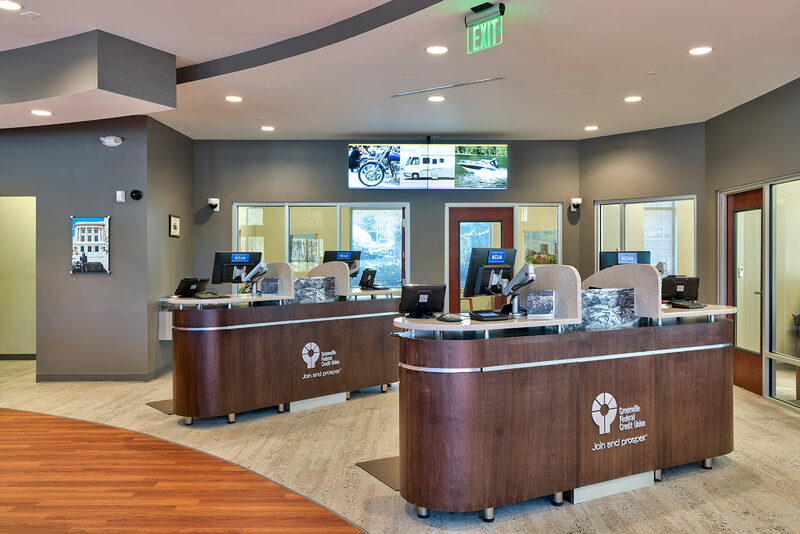 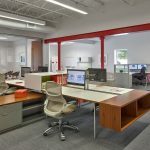 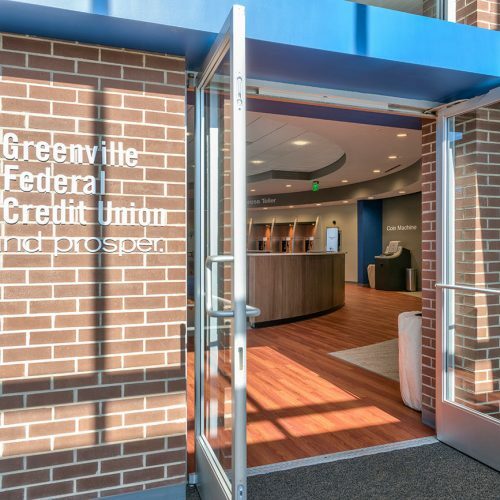 This interior renovation of the member contact area represents the Greenville Federal Credit Union’s commitment to technology for better personal service. 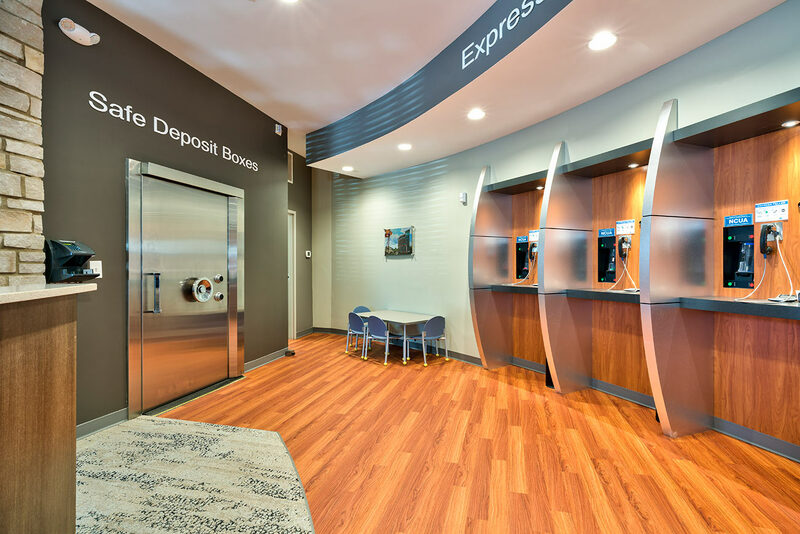 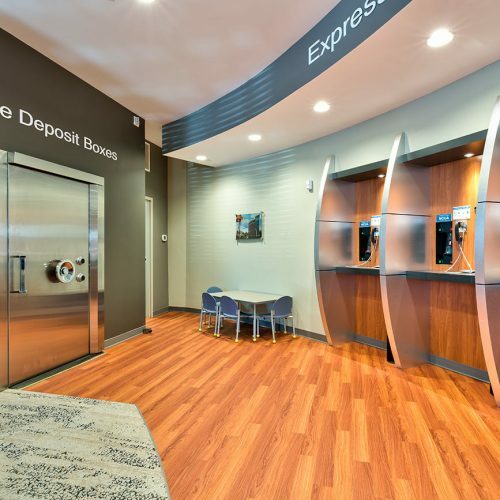 Freestanding member service islands replace the traditional teller counter, with convenient video teller stations. 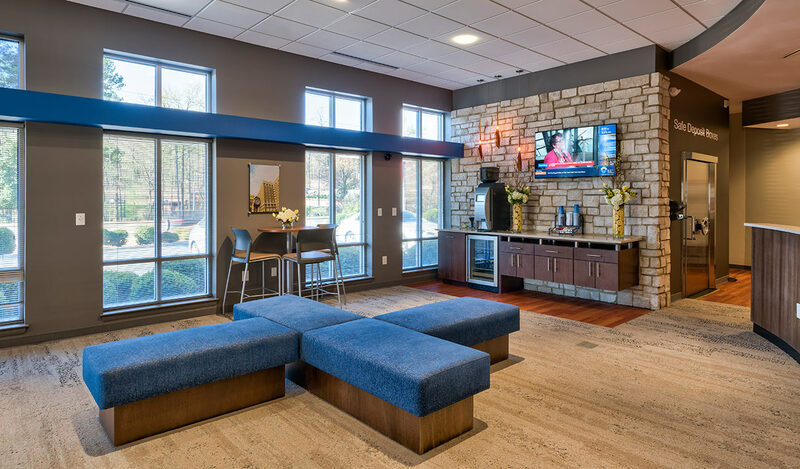 A technology-enhanced member productivity area combines with traditional private offices for an improved member experience. 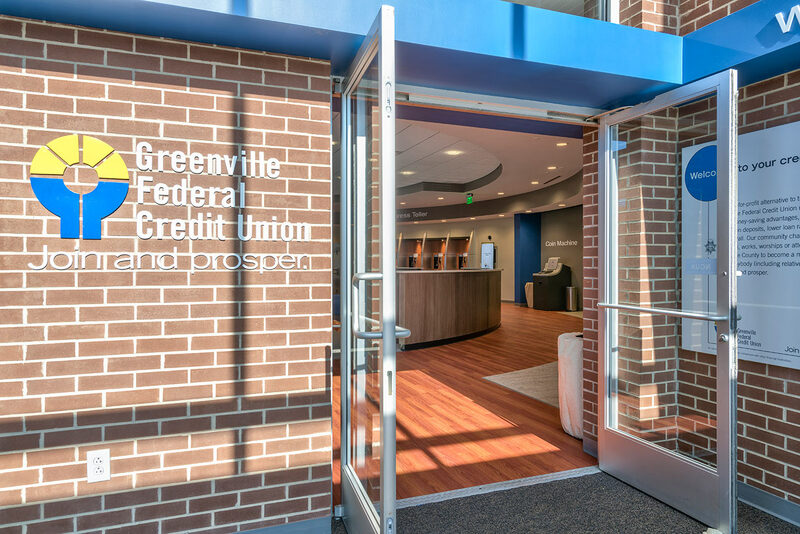 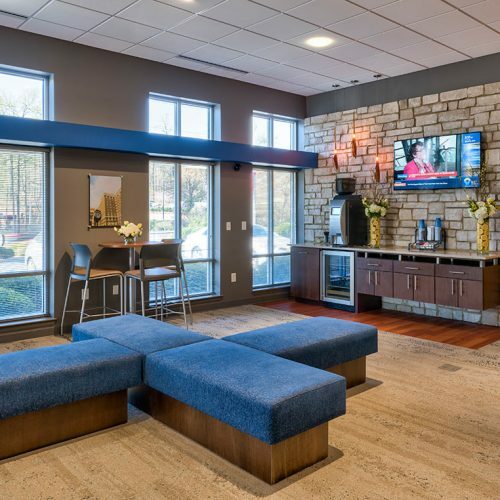 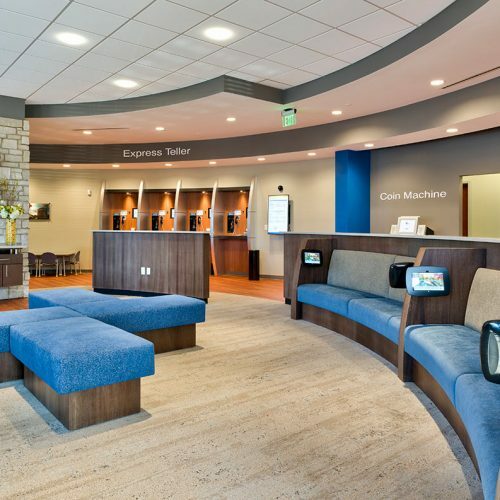 Thoughtful lighting and warm, locally sourced materials create a sense of welcome and ease for both credit union associates and members. 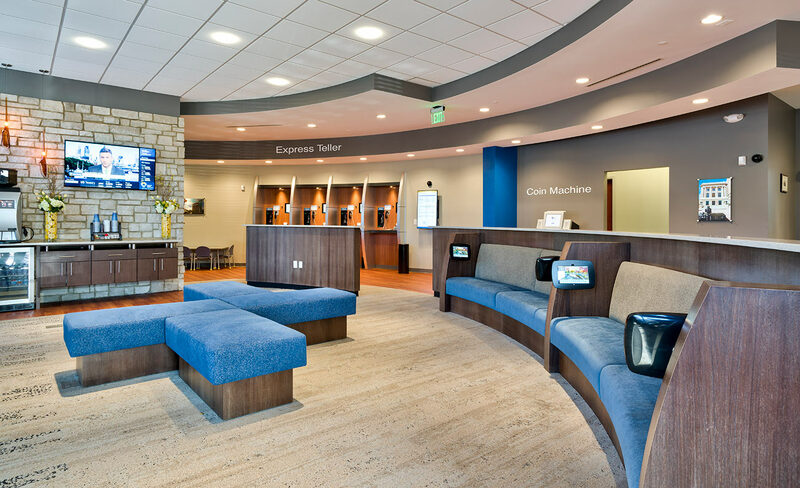 Wenge, quartz, locally sourced stone.